Wow, that was an intense and a very exciting week. 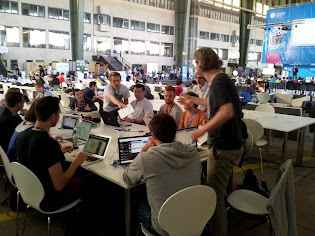 When we first got offered the possibility to have a presence at Campus Party [link] we thought it would be a nice addition to their program to hold 2-3 workshops there. We were just in the planning state for our very first workshop and didn’t know where our journey would take us. 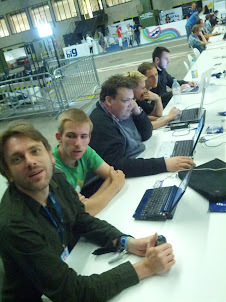 All in all it was a very tiring yet fulfilling experience to be part of Campus Party. We never expected so many coaches and such a big interest in our movement! We are full of ideas and energy to move on and make the next coaching event even better. Since the “open” in OpenTechSchool is sincere, you are invited to comment or to contribute even more: Come to our biweekly team breakfast to get involved. 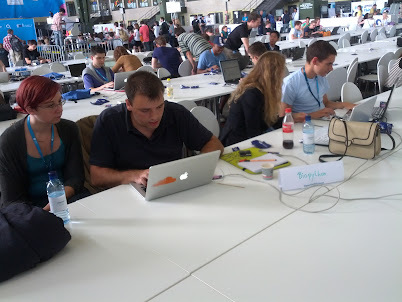 We are already thinking about new workshops and other formats to try out and can use every helping hand. See you at the breakfast or maybe you got a seat for the “Introduction to programming with python” next weekend and we’ll see you there.